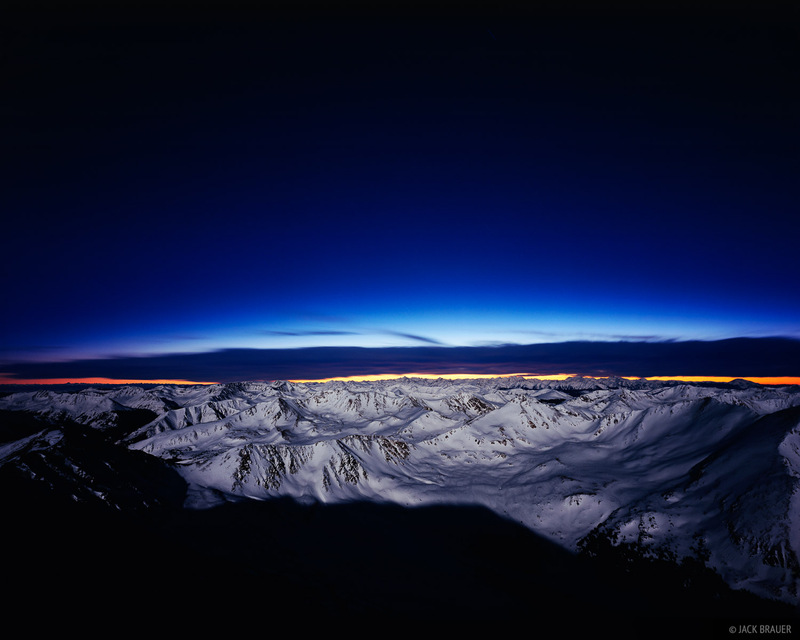 Moonlit mountains and the last colors of sunset, as seen from the summit of Mt. Elbert, the tallest mountain in Colorado at 14,440 feet, Sawatch Range, February. I spent three hours on the snowy summit on this calm winter night, in awe of our planet, before I made my way down under the moonlight. Photo © copyright by Jack Brauer.